When her eccentric naturalist father dies on the upper reaches of the Amazon, young Lady Tess Collier sets out to follow his last wishes: return to England and marry well. But Tess, who had accompanied her father on his expeditions since childhood, is as unconventional as she is beautiful. 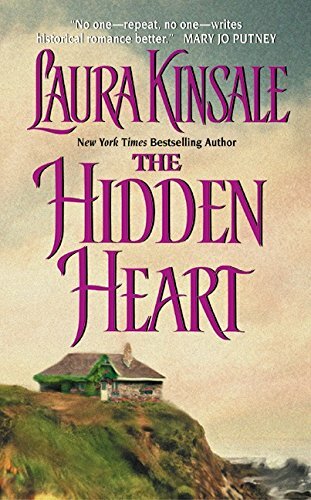 Laura Kinsale is a winner and multiple nominee for the Best Book of the Year award given by the Romance Writers of America. She became a romance writer after six years as a geologist -- a career which consisted of getting out of bed in the middle of the night and driving hundreds of miles alone across west Texas to sit at drilling rigs, wear a hard hat, and attempt to boss around oil-covered males considerably larger than herself. This, she decided, was pushing her luck. So she gave all that up to sit in a chair and stare into space for long periods of time, attempting to figure out What-Happens-Next. She and her husband David currently divide their time between Santa Fe, New Mexico, and Texas. The Earl of Morrow dies while exploring the Amazon jungle with his daughter, Tess Collier, and while traveling back to London aboard a clipper ship, Tess falls in love with adventurous sailor Gryphon Meridon.